Can Massage Therapy Help Lower Back Pain? 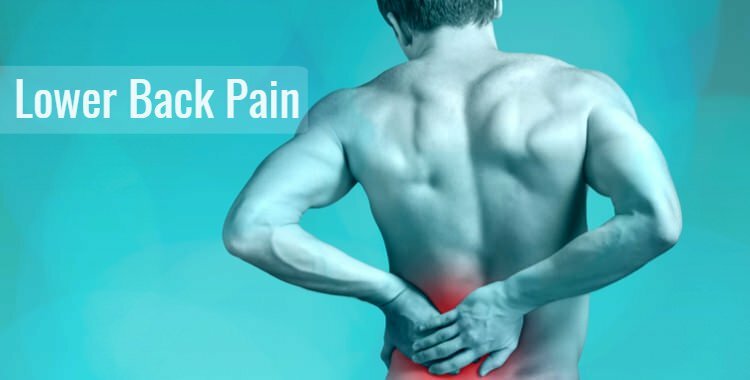 Over 80% of US adults will experience non-specific lower back pain (LBP) at some point in their lives and, over the past ten years, LBP has risen to be the second most common cause of disability in the US. The influence of LBP on a patient is significant, impacting the physical, social, psychological, and economic aspects of an individual’s life. Despite the widespread nature of the condition, however, there has been little agreement in the medical community on the best way to treat non-specific LBP. Current treatments range from surgical intervention to the prescription of non-steroidal anti-inflammatory drugs (NSAID) as pain relief, each with their associated risks. With the growth in popularity of complementary and alternative medicine (CAM) both physicians and patients are increasingly recognizing the positive benefits of medical massage as a treatment for LBP. Recent studies have shown that regular massage leads to significant decreases in disability and levels of pain in comparison with standard medical care, such as pharmacology and chronic pain education. What Are the Benefits of Massage Therapy For LBP? Lowered Cost – Massage as a treatment for LBP is comparatively low cost. Currently, the cost of treatment for LBP in US adults is estimated to be between 100–200 billion dollars annually, two-thirds of which are due to decreased wages and productivity. By comparison, a combined course of massage, exercise, and behavioral counseling has been shown to be significantly more cost-effective than general-practice (GP) care. Reduced Risk – Common treatments for LPB often come with an element of risk. Spinal corrective surgery and spinal manipulation therapy both have a heightened risk of complications and increased time off work. In the case of non-specific LBP, where the cause of the pain is not apparent, the patient may be treated with NSAID medication. The risks associated with the long-term use of NSAID pain relief include the development of cardio-renal, hepatic and gastrointestinal conditions, such as a peptic ulcer. In extreme cases, opioid pain relief is used, but given the risk of liver damage or addiction, this is not regarded as a viable long-term solution. By comparison, massage is low impact and has little to no risk associated with long-term treatment. A Range of Additional Benefits – Where common LBP treatments have associated risks, massage is unique in that it comes with a host of related benefits. In addition to treating LBP, massage can be used to treat physical conditions, such as temporomandibular joint pain, headaches, digestive disorders and the symptoms of fibromyalgia. Alongside the treatment of physical ailments, massage has a proven positive impact on psychological disorders such as depression, anxiety, and stress-related insomnia. These benefits come in addition to the pain relief and reduced disability offered to sufferers of LBP. Effective Across All Types of Massage – While individuals might have a particular preference, research has shown that the beneficial effects of massage are not restricted by the type of massage being received. At Northwest Career College our Massage School offers training in medical massage, sports massage, Swedish and deep tissue massage, hot stone massage and shiatsu, all of which can be used to alleviate the symptoms of LBP. In conjunction with the growth of complementary and alternative medicine, massage is increasingly being recognized as a viable and effective treatment for a disorder that affects a considerable proportion of adults in the US. As a low impact and virtually risk-free alternative to generic treatments, massage offers proven pain relief for sufferers of non-specific lower back pain and comes with a host of secondary benefits. If you are looking for a career where you can make a significant difference in people’s lives, and whose importance is increasingly being recognized by medical community, then call us today on (702) 403-1592 to learn more about our Massage Therapy School. Here at Northwest Careers College we offer both day and night classes to accommodate your work and family schedule. Our expertly staffed massage student clinic is open seven days a week and our 100% national exam pass rate supports our reputation as one of the leading massage schools in Las Vegas. Call today on (702) 403-1592 to speak to one of our enrollment specialists! Previous Blog: Why Is There A Growing Demand for Medical Assistants?Next Blog: What Does A Dental Assistant Do?